If you are a creator, you are undoubtedly looking for video editing software that will make your life easier. That said, much of the best video software is expensive. Browsing the Internet, you may come across software that costs hundreds (perhaps thousands) of dollars. So what happens if you need to edit a movie or another MP4 video but you don’t have the cash to spend on expensive video editing software? In other words, what is the best MP4 cutter that is free? We have searched the Internet and have found some of the best free MP4 editors. While this MP4 video editor freeware isn’t ordered based on preference. we believe that you will find the following editors to be extremely useful. Lightworks is a free MP4 editor that has existed for more than 25 years. You can use Lightworks if your computer runs Mac OS X, Windows, or even Linux. According to Lightworks, the Lightworks editor has been used in some of the most famous films in cinema history, including Pulp Fiction, The King’s Speech, and The Wolf of Wall Street. Lightworks prides itself on its simple-to-use interface, access to royalty-free audio and video content, and real-time audio and video effects. Along with this, Lightworks says that it “sets the standards for trimming” through its sophisticated trimmer. If you are working with a group to edit one of your videos, Lightworks also offers easy project sharing to facilitate real-time collaboration. 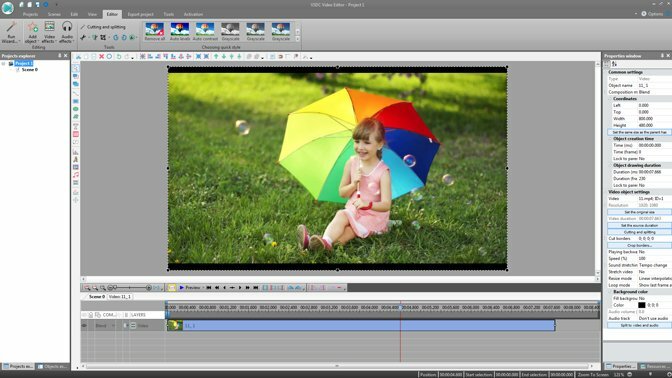 Lightworks offers both free and paid versions of its editor. To access the free version, you only need to sign up for a 7-day free trial and then register to extend your free access. VSDC Free Video Editor is freeware (only for Windows XP SP3, Vista, Windows 7, Windows 8, or Windows 10) that can edit your MP4 files. It is a non-linear video editor that comes with conversion tools that can help you convert files from one format to another. VSDC Free Video Editor also offers various visual and audio effects that you can apply to any video. If you are new to video editing, the editor also provides “Instagram-like filters” which can make the editing process easier. The editor offers subpixel accuracy and makes it easy for you to export your videos to social networks. Along with this, VSDC Free Video Editor offers a simple interface that makes it easy to edit whatever video that you have. VSDC provides how-to guides that can get you up to speed on using the VSDC Free Video Editor. That said, if you are seeking specific technical support from VSDC, you will need to pay. If you’d like to give the VSDC Free Video Editor a try, you can easily download the editor on its website. Clipchamp is a free online MP4 video editor. Clipchamp stresses that its video editor is for all experience levels, including beginners. Compared to other MP4 video editors, Clipchamp is software that runs in your browser. In order to use Clipchamp, you will need to download and use the latest version of Google Chrome. 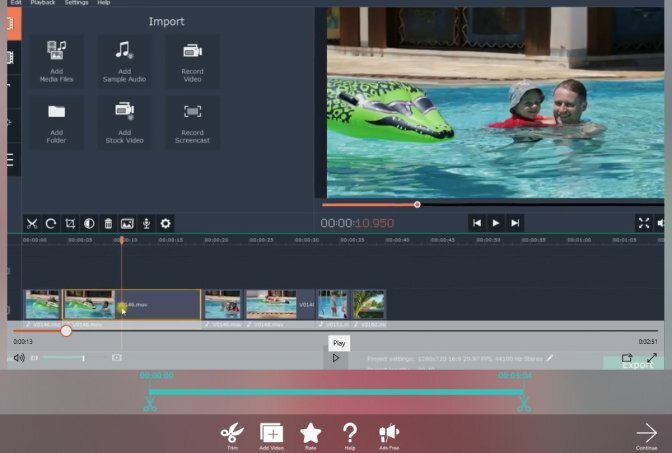 Some of the features that are within the Clipchamp video editor include a splitter and the ability to crop and combine videos, flip and mirror videos, add text, titles and supers, and use filters and transitions. You can also add your own audio files and, in some time, will be able to record voiceovers within the editing software itself. After making your edits in Clipchamp, you can export your videos in your preferred resolution – including HD. If you are also searching for stock audio or video clips to use in your video, Clipchamp offers over 40,000 assets from Videoblocks & Audioblocks. You can find Clipchamp’s free online MP4 video editor here. Over four million users in 100 countries use Clipchamp. Freemake is entry-level free video converter software that allows you to convert video for free. With Freemake, you can convert more than 500 formats into any type of video that you would want. For instance, if you want to include part of a YouTube video into your video, you can easily import the YouTube video, clip it as necessary, and then add it into your final product. Even if you have photos or audio, you can import those files and turn them into a video. Like the other free MP4 video editors, Freemake has a cutter allowing you to splice, join, and rotate clips. When you are finished editing, you can embed your final product to whichever website you choose – including YouTube. Freemake also prides itself on its ease of use, claiming that even a complex task only takes a maximum of three clicks. Freemake is only available for Windows devices. If you’d like to learn more about Freemake or download the software, you can click here. 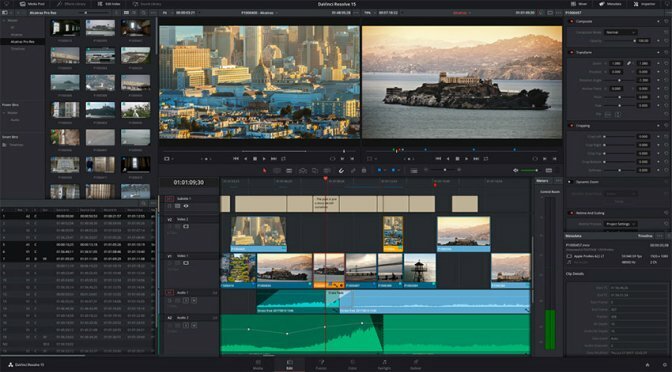 The DaVinci Resolve 15 video editor claims to be the world’s fastest and most advanced professional non-linear editing system. Created by Blackmagic Design, DaVinci Resolve is responsive software that is optimized for editorial performance. Specifically, the software provides many important features, including stacked timelines, on-screen annotations, 2D and 3D title templates, and advanced trimming. DaVinci Resolve also claims that it is the only non-linear editing system with a timeline based keyframe and curve editor. Ultimately, there are two versions of DaVinci Resolve. There is the free version (which you can access here) or a paid version which includes some additional features. DaVinci Resolve works on Mac OS X, Windows, or Linux. Created by VideoPix, Movie Creator is a free MP4 video editor that allows you to easily create films and videos that you can share with others. The software offers multiple customizable themes. For instance, users can change text color size and the font for the available themes and can leverage trimming and merger features. Music can be added to your videos and you can add several transition effects, like rotation, tile, and smooth water transition. You can use Movie Creator if your computer is running Windows. To learn more about Movie Creator, you can find more information here. HitFilm Express is an MP4 video editor that is used by 3.1 million filmmakers. The software offers 410 effects and presets, unlimited tracks and transitions, and full 2D and 3D compositing. Some other video editing features include composite shot enhancements, animation tools, and an adaptive trimmer. HitFilm Express can be used by experts and amateurs alike – including students and beginning filmmakers. 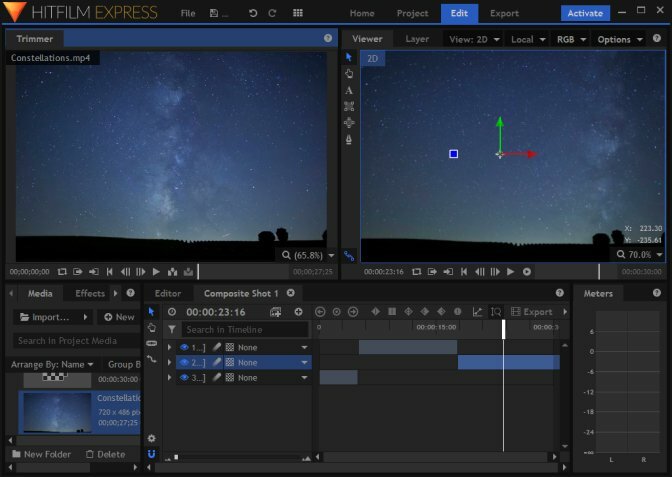 The creators of Hitfilm Express make it easy to learn the ins and outs of the software. Hitfilm Express’s website offers extensive tutorials for filmmakers and film editors. Whether you are searching to create an effect from Star Wars, Iron Man, or something else, Hitfilm Express can help. Hitfilm Express works on Apple or Windows. In order to access the free software, you must tell your friends via Twitter, Facebook, or Google+. 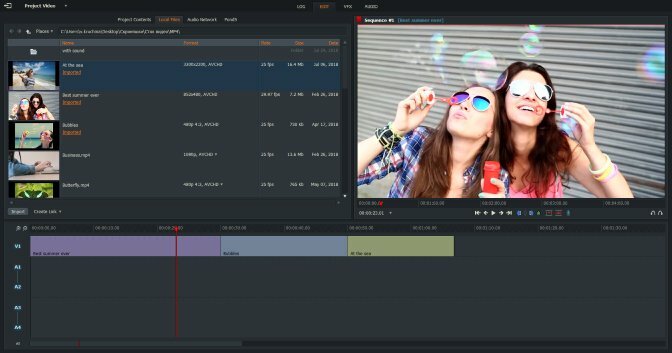 While you may feel obligated to purchase some expensive software to edit your next video, rest assured that you can find some free alternatives that will make your videos shine. Whether you choose a best free MP4 editor or some other MP4 video editor freeware, it is clear that there are options if you want to use great video editing software without breaking the bank. We also invite you to check out the Movavi Video Editor. While the Movavi Video Editor is not freeware, feel free to give it a try to see if it suits your needs. 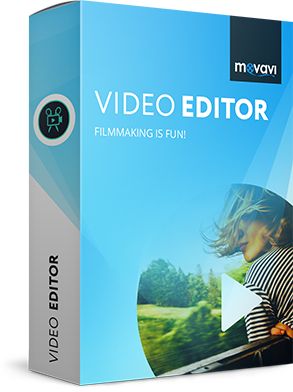 To learn more about the Movavi Video Editor, please click here.